The Cateran Trail long distance walking path is right on the doorstep. The site is also a short distance from Lintrathen Loch where you can try your hand at fly fishing from a boat, or hang out in one of the bird hides and observe the wildlife. In the village of Lintrathen is the Wee Bear Cafe which has a great reputation for yummy home baking, just what you need before a good trek. Peel Farm farm shop and cafe is also just a short cycle or car drive away from the site. Local towns of Alyth, Kirriemuir and Blairgowrie offer cafes and shopping. 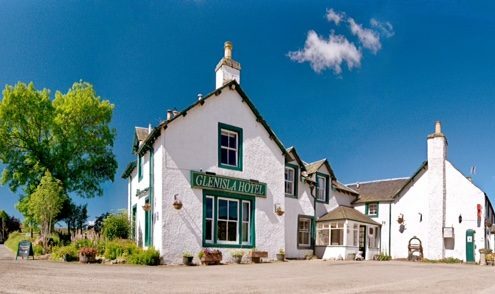 One of our favourite Sunday outings is to walk over the hill on a 5-mile ramble to the excellent Glenisla Hotel for a gorgeous lunch and a pint of local beer before walking back home. Stay for the weekend and you could walk the next day to Alyth and eat at the Losset Inn or the Lands of Loyal. The main attraction though is being situated in a peaceful glen with wonderful opportunities to walk, cycle, run, kayak and bird watch in the area. If you manage to exhaust the wonderful walking in the glens and want to travel a little further, you are just an hour or so by car away from Braemar and Balmoral Castle with yet more awe-inspiring landscapes to explore in the Dee Valley. The royal theme continues with Glamis Castle to the south, which has an excellent wooden play park for younger children, and the Wild Thyme Cafe does a cracking cream tea. If you go just for the cafe you can let the people on the gate know and you will not be charged parking. 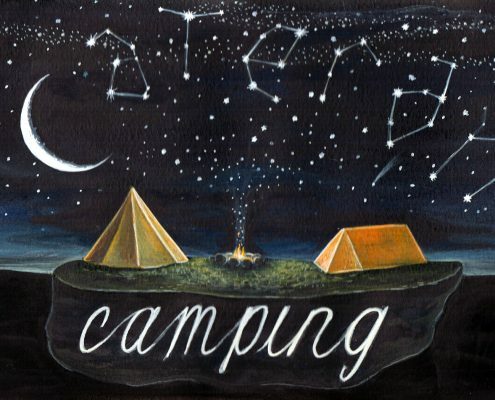 Cateran Camping is a 40 minute drive north of Dundee, offering museums, art galleries, Dundee Rep Theatre and everything that a city should offer. For more information about what the area has to offer, the Visit Scotland website has lots of useful information. To find out more about where to walk and hike, try the Walk Highlands website. SWT Loch of Lintrathen, a scenic loch with breeding songbirds. You may be lucky enough to spot an Osprey fishing here too. RSPB Loch of Kinnordy, a tranquil wetland oasis, with hides which get you close to a variety of wildlife. SWT Loch of the Lowes. From early April to late August, the star attraction is a pair of breeding ospreys, which nest just 150 metres from the observation hide. 88 Degrees Cafe in Kirriemuir – excellent coffee and exceptional quality food. Alyth Cycles for bicycle hire, sales and service. A number 57 bus will bring you to Alyth from Dundee, Perth or Blairgowrie. Timetable here.